Daniel Spencer, 11, requires around-the-clock care due to his cerebral palsy, which was caused by substandard care when medical staff failed to react quickly enough to his mother’s bleeding during labor. His mother suffered placental abruption, which deprived Daniel of oxygen, a condition known as birth asphyxia or hypoxic ischemic encephalopathy. In addition, the medical team failed to properly monitor Daniel when he was in the womb and failed to notify a physician about Daniel’s fluctuating heart rate, which is a sign of fetal distress. The hospital involved in Daniel’s delivery agreed to pay millions to help with the lifetime of care he needs. Daniel needs a wheelchair and struggles to communicate. His family is going to use the settlement to get special aids and equipment to help Daniel move around and communicate better. They hope to protect Daniel’s future and make his life a lot easier. Another boy was offered a large settlement this year. Charlie Scott was diagnosed with spastic quadriplegic hemiplegic atheloid cerebral palsy after sustaining brain damage at birth. Charlie struggles every day with muscle spasms and is not able to walk, talk or fully feed himself. Charlie’s mother first inquired about legal proceedings against the hospital’s substandard care when Charlie was nine months old. The hospital admitted it was at fault in 2010. She said the compensation would provide equipment for Charlie’s physical and communication needs and he would no longer have to wait for assessments by social services. There are many complications that can cause cerebral palsy, such as infection, oxygen deprivation, cord compression, and trauma caused by forceps and vacuum extractors. It is crucial for the physician to monitor the mother and baby very closely around the time of delivery and treat conditions that can lead to cerebral palsy. Failure to properly monitor and treat the mother and baby is negligence. Failure to follow standards of care and to act skillfully and promptly also constitutes negligence. If substandard care leads to cerebral palsy, it is medical malpractice. 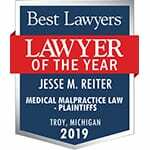 The experienced attorneys at Reiter & Walsh ABC Law Centers have been helping Michigan, Ohio, Washington DC, and families nationwide affected by cerebral palsy for many years. 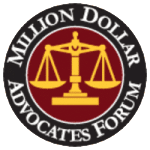 We focus narrowly on birth injury law and have a track record of multi-million dollar verdicts and settlements that attest to our success. If your child has been diagnosed with cerebral palsy, call Reiter & Walsh today for a free consultation at 888-419-2229.